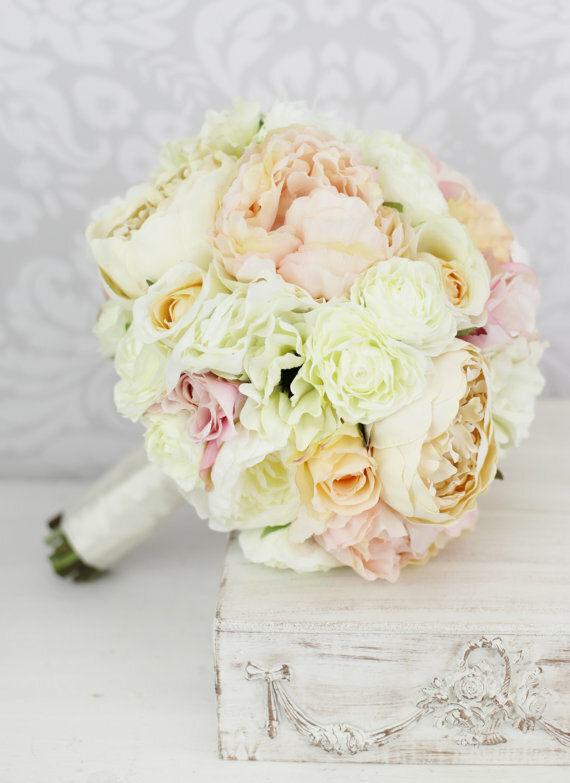 Keep your bridal flowers for a lifetime with this stunning silk peony bridal bouquet. It features a mix of pink and cream silk blend peonies and is hand tied with cream satin ribbon. The bouquet measures approximately 12” around. Designed by Morgann Hill Designs and available at BraggingBags for $164.63.